Maize farmers in Eastern Nebraska have long claimed that weather patterns are changing, but in unexpected ways. "I have it. I've often talked to my father and grandpa about it," says fifth-generation corn farmer Brandon Hunnicutt. The 45-year-old lives with his father and brother in the 400-person village of Giltner and grows around 2,000 hectares of corn every year. From above, the area looks like a patch of houses surrounded by a vast grid of circular fields. Although Brandon's grandfather is retired, he is actively involved in the business. "Contrary to what you think should happen, both he and my dad swear and go up drought [that] and the droughts were more frequent and much worse," says Hunnicutt. "Considering that it's been 30 years since we were really bad, I've started taking her at her word." 1; the University of Nebraska climatologists say the growth period is 10- Since 1980, it's been 14 days longer. Hunnicutt now waits until the first weeks of November to guide its 40-foot-wide combine harvester through the wide, seemingly endless rows of the yard, enough to cover 800 blocks of flats. The Hunnicutts are subtle, but they notice these changes and much more. "To be successful in this business, you have to pay close attention to the weather," explains Brandon. Over the past 20 years, he has noticed a gradual decrease in 100-degree days over the summer. "You do not miss that missing digit," he says with a laugh. "High temperatures cause a lot of fear. If they keep going long enough, they singe your corn and damage your bottom line! A 2018 report by climate researchers at the Massachusetts Institute of Technology claims to have solved the mystery and confirmed the peasants. Suspicion: Namely that the large-scale corn production has changed the weather. In the past 70 years, farmers in the midwest of the American Corn Belt (US state) have made a huge leap in production. 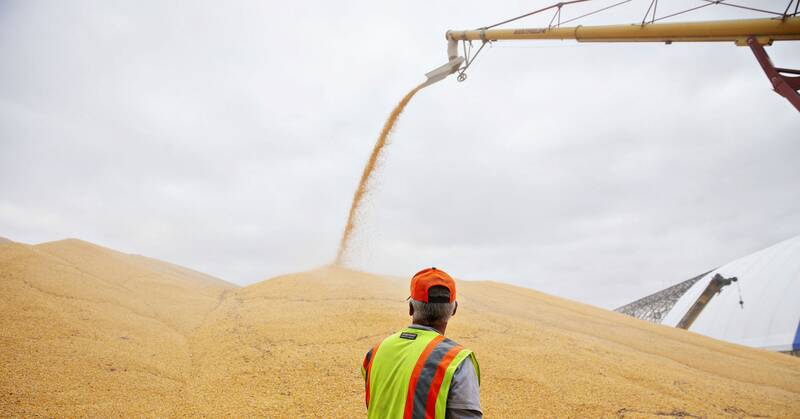 From 1950 to 2010, the annual harvest increased by more than 400 percent from 2 to 10 billion bushels. Climate scientists at MIT say that the boom has not only created the weather in the region as the most productive agricultural region in the world. "We have studied data from the past 30 years and found that corn intensification has increased on average summer rainfall by about 35 percent and decreased [average summer] temperatures by as much as one degree Celsius," says former MIT researcher Ross E. Alter, who works as a research meteorologist at the US Army Corps of Engineers today. Alter was the lead author of a 2018 report published in the Journal of the American Geophysical Union, which showed how land use impacts the region's climate more than greenhouse gas emissions. "What makes these insights so intriguing is that while global temperatures have increased, regions like eastern Nebraska have actually cooled," said Alter in terms of annual averages. "We believe heavy agriculture is likely to counteract the rising summer temperatures that could otherwise have been caused by rising greenhouse gases." Although, to some extent, similar effects have been observed in the US The effects of agriculture on regional climate change in the central US have been comprehensively analyzed in the rice cultivation areas of eastern China for the first time. The results document the most significant man-made regional climate change in world history. by comparing the observed historical trends in the Corn Belt climate with those , which were predicted in various global simulations of the global climate research program coordinating climate research sponsored by various international organizations, the report showed that the models for the country were inappropriate region (they predicted that summer temperatures would rise and precipitation would only rise by four Although the WCRP models accounted for greenhouse gas emissions and other human and natural factors, they did not consider agricultural intensification. "Our findings are a little different from those that people think about the mechanisms of climate change," says Alter. He believes that precisely simulating and understanding local climate change requires a look at agricultural intensification issues such as the corn boom in Nebraska. But how did more corn change the climate ? Nebraska Associate State climatologist Al Dutcher says it's complicated. On the one hand, it has to do with what Hunnicutt and other farmers call "corn sweat". This happens when photosynthesis increases the amount of water vapor in the air. 19659003] "When the pores of a plant, called stomata, open to the entry of carbon dioxide, they allow water to escape at the same time," writes Kimberly Hickok, who deals with climate change for Science Magazine, and reviewed the report. The process known as transpiration cools the plant and the surrounding air and increases the amount of water that enters the atmosphere and returns as precipitation. As Hickok notes, "the cycle can continue," as additional rainwater evaporates back into the atmosphere and causes rain on other farms and towns from the wind. In other words, more corn means more perspiration. This leads to slightly cooler temperatures and increased rainfall. The fact that corn is a non-native species enhances the effect. "The predominant native vegetation in central and eastern Nebraska is grass," explains Dutcher. Farmers have replaced the region's vast grasslands with more than 9 million hectares of corn, a 20 percent higher rate than native grasses. "Agriculture literally brings moisture into the atmosphere, and that moisture has created a kind of protective bubble against rising temperatures." Dutcher and Hunnicutt say growing more corn – and thus generating more perspiration – would not have been possible without progress in agriculture efficiency. The introduction of high-yielding varieties, better irrigation and soil management techniques, and the ability to closely monitor field conditions with computer sensors have all contributed to increased yields. "One of the biggest factors is the widespread use of crops, residue management and no-till farming practices," writes Paul Jasa, development engineer at the University of Nebraska-Lincoln. Together, practices have eliminated the need for traditional tillage, dramatically increasing organic matter in the soil, reducing evaporation and runoff, and lowering surface temperatures in the summer. "Over time, the soil [native clay-based] has become much healthier and it's better to hold water back," Jasa continues. "This has increased the resistance of cultures to traumatic weather events and is generally much more productive." Hunnicutt says automated irrigation has increased overall production and allowed him to grow corn in pivot corners where his grandfather could not. In an area of ​​340 hectares, which had previously provided nothing, now contribute 180 bushels per hectare. In his time as a farmer, the yield of the full field has grown by more than 50 bushels per hectare. "I can get up-to-the-minute weather forecasts and tell you the moisture content all over our fields just by looking at my phone," says Hunnicutt. "In the fifties, my grandfather used a peasant almanac. If they thought the soil was too dry, they only dropped water on it. Well, I know exactly what my plants need and when they need to be applied. As one expects the review of Alter has a dark side. And this dark side has global implications. "With regard to the Corn Belt, the degree of agricultural intensification we have seen over the last 30 years is unsustainable," he says. "It is expected to end soon and may even decline." And when that happens, the mitigating effect of agriculture will disappear, and global temperatures will rise even faster. Although studies are still being conducted around the world, Alter says that in areas where agricultural agriculture has been significantly intensified, similar benefits could probably be expected: more rain and cooler average temperatures in the summer. As in Nebraska, the effects have probably masked negative changes and will eventually be overwhelmed. "I know that some of the anti-climate change people are likely to do this poo-poo, but my family takes this very seriously," says Hunnicutt. "We have been in this business for five generations and I hope that my children and grandchildren will continue this tradition. We do everything we can to reduce fuel consumption and increase efficiency. Our hope is that these [mitigatory effects] will give us enough windows to make adjustments and prepare for the coming. In the meantime, he hopes the world will come together and limit emissions before it's too late.